Keeping up with IT technology today is like drinking from a fire hydrant. It is almost impossible to keep up. If you are like many Houston, TX area businesses with a network infrastructure to support, you know the challenge of retaining an internal staff with the up to date skill sets you need to keep your IT infrastructure running optimally. Then of course, there is the cost of salaries, benefits and ongoing training and more. There is also the issue of skill-set silo in which highly compensated technicians who have years invested in their areas of expertise defend their turfs. As a result, companies run the risk of becoming laggards to new technological innovation, as internal staffs remain loyal to designated platforms in which their skills are invested. This is why many businesses are turning to outsourcing their technical needs and IT support in Houston, TX. At NSC Information Technology, we offer a reliable, cost effective IT outsourcing solution to manage your network security and support problems. Our staff is composed of only the most qualified personnel. Being that our staff supports so many different types of businesses, utilizing multiple vendors, equipment types and solutions, our experienced professionals have seen it all, allowing you to benefit from our pool of knowledge and experience. At NSC Information Technology Group, we perform a complete evaluation of your current network support and security structure. We find weaknesses in your security and bottlenecks where traffic may overload the server. We take the time to familiarize ourselves with the inner workings of your network so you don’t have to. 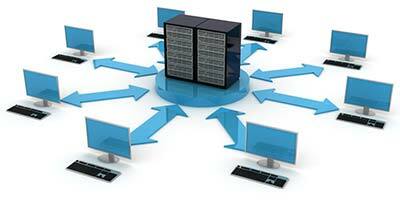 We offer a complete IT support solution for businesses throughout the Houston, TX area. This includes, but not limited to, network security and support services, network infrastructure support, cloud integration services, structured cabling, and backup and disaster recovery planning. This complete array of services provides a shield of security and dependability to safeguard your business from malware threats, hackers, equipment failure and natural disasters. By outsourcing your IT needs with NSC, your organization benefits from an increased knowledge base at a lower cost. Contact NSC Information Technology Group to find out how we can help. Do you have a network you can rely on, one that rarely fails and does not slow down when under a heavy load? Many networks struggle under a heavy load because they do not have the managed IT support they need to succeed. At NSC Information Technology, we offer a reliable, cost effective IT outsourcing solution to your network security and support problems. For confident and secure exchange of critical data. IT consulting on computer and server systems infrastructure. Expert planning for backup and disaster recovery. Network problems are not a one-time issue. Throughout the life of a company, networks will fail due to storms, too much traffic, and a variety of other reasons. The ability to restore your network to optimum working conditions as quickly as possible is essential to running an effective, productive business. After all, the more time your systems are down, the more money you lose. A crashed system and idle workers can cost a company hundreds or even thousands of dollars in lost revenue. With the United States and China working together to implement laws against cybercrime, network security is more important than ever before. Internal security is important for protecting sensitive documents and internal communications. External security is important for protecting the company’s server against malicious attacks. Customers are more likely to trust a company that uses HTTPS encoding on checkout forms than unsecured documents; it tells them their credit card information is safe with your company. Encouraging trust is one of the key elements to winning repeat, loyal customers. The problem with maintaining an in-house IT staff is the amount of overhead involved. Companies with their own IT support personnel pay not only employee salaries, but also insurance, benefits, ongoing training and much more. Outsourcing IT eliminates these overhead costs. In addition, we provide a 24/7/365 support team that can respond to any major problems much quickly than a traditional staff would be able to. Our staff is composed of only the most qualified personnel. This allows us to focus on a specific area of expertise rather than acting as a jack-of-all-trades company. When you encounter a problem, our certified technicians will be able to solve it. At NSC Information Technology Group, we perform a complete evaluation of your current network support and security structure. We find weaknesses in your security and bottlenecks where traffic may overload the server. We take the time to familiarize ourselves with the inner workings of your network so you do not have to. Contact NSC Information Technology Group to find out how we can provide the network security and Houston IT support you need.